The conquest of Mecca (Arabic: فتح مكة ‎‎ fatḥ makkah) is the historical event when Mecca was capitulated for and conquered by Muslims on 11 January 630  (Julian), 20 Ramadan, 8 AH. The Islamic prophet Muhammad started the journey on 6 Ramadan and entered Mecca on 18 Ramadan. In 628 CE, the Meccan tribe of Quraysh and the Muslim community in Medina signed a 10-year truce called the Treaty of Hudaybiyah. According to the terms of the Treaty of Hudaybiyyah, the Arab tribes were given the option of joining either of the parties, the Muslims or Quraysh. Should any of these tribes face aggression, the party to which it was allied would have the right to retaliate. As a consequence, Banu Bakr joined Quraysh, and Khuza'ah joined Muhammad. They thus lived in peace for some time; but ulterior motives stretching back to the pre-Islamic period, ignited by unabated fire of revenge, triggered fresh hostilities. Banu Bakr, without concern for the provisions of the treaty, attacked Banu Khuza'a in a place called Al-Wateer in Sha'ban, in 8 AH. Quraysh helped Banu Bakr with men and arms, taking advantage of the dark night. Pressed by their enemies, the tribesmen of Khuza'ah sought the Holy Sanctuary, but here too, their lives were not spared, and, contrary to all accepted traditions, Nawfal, the chief of Banu Bakr, chased them in the sanctified area — where no blood should be shed — and massacred his adversaries. Khuza'ah at once sent a delegation to Medina to inform Muhammad, of this breach of truce and to seek help from Muslims of Medina being their allies. After the incident, Quraysh sent a delegation to Muhammad, petitioning to maintain the treaty with the Muslims and offering material compensation. The Muslim forces had gathered in strength to settle account with Quraysh and for the final attack and the opening of Mecca. After Abu Sufyan ibn Harb's departure, Muhammad immediately assembled a large army. The objective of the operation was kept secret and even Muhammad's close friends and commanders did not know his plans. Muhammad intended to assemble and attack the Quraysh using the element of surprise. For further secrecy, Muhammad sent Abu Qatadah towards "Batan Izm" to give the impression that he wanted to go there. The Muslim army set out for Mecca on Wednesday, 29 November 629 (6 Ramadan, 8 AH.) Volunteers and contingents from allied tribes joined the Muslim army on the way swelling its size to about 10,000 strong. This was the largest Muslim force ever assembled as of that time. The army stayed at Marr-uz-Zahran, located ten miles northwest of Mecca. Muhammad ordered every man to light a fire so as to make the Meccans overestimate the size of the army. Meanwhile, Abu Sufyan ibn Harb travelled back and forth between Muhammad and Mecca, still trying to reach a settlement in order to avoid conquest. According to the sources, he found assistance in Muhammad's uncle Al-Abbas, though some scholars consider that historians writing under the rule of Abbas' descendants, the Abbasid Dynasty, had exaggerated Abbas' role and downplayed the role of Abu Sufyan, who was the ancestor of the Abbaside's enemies. Mecca lies in the Valley of Ibrahim, surrounded by black rugged hills reaching heights of 1,000 ft (300 m) at some places. There were four entry routes through passes in the hills. These were from the north-west, the south-west, the south, and the north-east. Muhammad divided the Muslim army into four columns: one to advance through each pass. 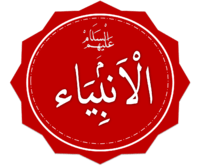 The main column in which Muhammad was present was commanded by Abu Ubaidah ibn al-Jarrah. It was tasked to enter Mecca through the main Madina route, from the north-west near Azakhir. Muhammad's cousin Az Zubayr commanded the second column and it would enter Mecca from the south-west, through a pass west of Kuda hill. The column entering from the south through Kudai was under the leadership of Muhammad's cousin Ali. The last column under Khalid ibn al-Walid was tasked to enter from the north-east, through Khandama and Lait. Their tactic was to advance simultaneously from all sides targeting a single central objective. This would lead to the dispersion of enemy forces and prevent their concentration on any one front. Another important reason for this tactic was that even if one or two of the attacking columns faced stiff resistance and became unable to break through, then the attack could continue from other flanks. This would also prevent any of the Quresh from escaping. Muhammad emphasized on refraining from fighting unless Quresh attacked. The Muslim army entered Mecca on Monday, 11 December 629 (18 Ramadan 8 hijrah). The entry was peaceful and bloodless entry on three sectors except for that of Khalid's column. The hardened anti-Muslims like Ikrimah and Sufwan gathered a band of Quresh fighters and faced Khalid's column. The Quresh attacked the Muslims with swords and bows, and the Muslims charged the Quresh's positions. After a short skirmish the Quresh gave ground after losing twelve men. Muslim losses were two warriors. "Even he Who enters the house of Abu Sufyan will be safe, He who lays down arms will be safe, He who locks his door will be safe". "There is no God but Allah. He has no associate. He has made good His promise that He held to his bondman and helped him and defeated all the confederates. Bear in mind that every claim of privilege, whether that of blood or property is abolished except that of the custody of the Ka'aba and of supplying water to the pilgrims. Bear in mind that for any one who is slain the blood money is a hundred camels. People of Quraysh, surely God has abolished from you all pride of the time of ignorance and all pride in your ancestry, because all men are descended from Adam, and Adam was made of clay." "O Quraysh, what do you think of the treatment that I should accord you?" And they said, "Mercy, O Prophet of Allah. We expect nothing but good from you." "I speak to you in the same words as Yūsuf spoke to his brothers. This day there is no reproof against you; Go your way, for you are free." Muhammad's prestige grew after the surrender of the Meccans. Emissaries from all over Arabia came to Medina to accept him. Ten people were ordered to be killed: Ikrimah ibn Abi-Jahl, Abdullah ibn Saad ibn Abi Sarh, Habbar bin Aswad, Miqyas Subabah Laythi, Huwairath bin Nuqayd, Abdullah Hilal and four women who had been guilty of murder or other offences or had sparked off the war and disrupted the peace. However, they were not all killed; Ikrimah lived to adopt Islam and fight in future battles among Muslim ranks. Of the two singing girls who were outlawed by Mohammad, one was slain but the other spared because she converted to Islam. Ibn Abi Sarh had been granted protection under Uthman ibn Affan and when he initially refused to take the mandatory oath of allegiance to Muhammad, the bystanders still did not kill him, due to misunderstanding the edict of Mohamed. The opening of Mecca was followed by the Battle of Hunayn. ↑ Muhammad: Islam’s First Great General, by Richard A. Gabriel, p176. ↑ Peters, Francis E. (1994). Prophet Muhammad+judged+the+occasion+fit+and+the+time+appropriate+for+settling+accounts+with+the+polytheists+in+Mecca+for+once+and+for+all.%22&hl=en&ei=I8f_TaOZOoGDOtWt5N4I&sa=X&oi=book_result&ct=result&resnum=1&ved=0CCkQ6AEwAA#v=onepage&q=%22The%20violation%20might%20have%20been%20settled%20in%20other%20ways-the%20Quraysh%20appeared%20willing%20to%20negotiate%20-%20but%20in%20January%20630%20A.D.%20 Prophet Muhammad%20judged%20the%20occasion%20fit%20and%20the%20time%20appropriate%20for%20settling%20accounts%20with%20the%20polytheists%20in%20Mecca%20for%20once%20and%20for%20all.%22&f=false Muhammad and the origins of Islam Check |url= value (help). SUNY Press. p. 334. ISBN 978-0-7914-1875-8. ↑ Lewis, Bernard (1967). The Arabs in history. Harper & Row. p. 200. ISBN 978-0-06-131029-4. ↑ Seerah ibn Hisham p. 226/2,228. 1 2 F.R. Shaikh, Chronology of Prophetic Events, Ta-Ha Publishers Ltd., London, 2001 p. 72. 1 2 Lt.Gen. A.I. Akram. The Sword of Allah – Khalid bin Al-Waleed. ↑ John Glubb, The Life and Times of Muhammad, Lanham, 1998, pp. 304–310. ↑ Page 329, Al-Kamil fi al-Tarikh by Ibn al-Athir (Arabic). 1 2 The Message by Ayatullah Ja'far Subhani, chapter 48 referencing Sirah by Ibn Hisham, vol. II, page 409. Gabriel, Richard A, Muhammad: Islam’s First Great General, pub University of Oklahoma Press, 2007, ISBN 978-0806138602.